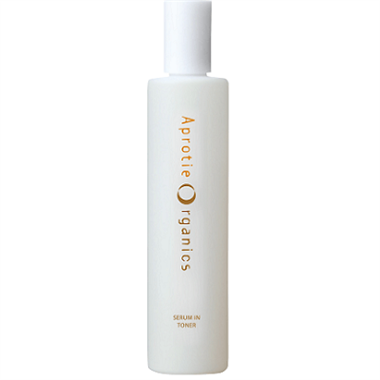 Aprotie Organics products use organic orange water (hydrolat) instead of plain water as it is nutrient-rich in vitamins and minerals suitable for skincare. It improves the moisture level of the skin, thus enabling the active ingredients to penetrate deep into the skin. Its strong reductive properties can eliminate free radicals and make skin more elastic. The Aprotie Organics is a series of skincare products, specially developed with the safety of the earth and environment in mind and to make lives more happy and healthier. Aprotie Organics products, made from 100% natural plant ingredients, products are gentle to both our skin and the environment. All products have been awarded the ECOCERT certificates. ECOCERT is an organic certification organization founded in France in 1991. Headquartered in Europe, it conducts inspections in over 80 countries, making it one of the largest organic certification organizations in the world. What is Aprotie Organics Serum in Toner? Rich in organic and natural ingredients, Serum in Toner made of organic orange fruit water grown in Italy and organic vegetable extracts from Japan. The serum, a blend of water eggplant, cucumber, rice bran and other skincare vegetable extracts used in Japan since ancient times, endow you with youthful, delicate and elastic skin. Rice bran extract inhibits pigmentation in the skin and water eggplant boosts collagen production. The serum should be applied by patting on face and neck after they were cleaned with the Cleansing Oil and Cleansing Foam. Does the Serum In Toner also contain ingredients grown on organic farms? Yes, the serum contains natural and organic ingredients. Water eggplant growing in Quanzhou, Osaka province has a soft pulp consistency, thin skin and sweet taste. Tender and extremely rich in juice water eggplant can stimulate epidermic cells to produce collagen. Organic cucumber extract can clean and soften skin, and soothe inflamed part after a sunburn. Cucumbers used in the serum grow in Gifu province, on the organic farms cultivated by the Agricultural Senior High School. Rice bran extract made from organic rice cultured in the way of rice-duck farming in Hyogo Prefecture, can make skin white and bright. Apply appropriate amount, patting toner on face and neck.